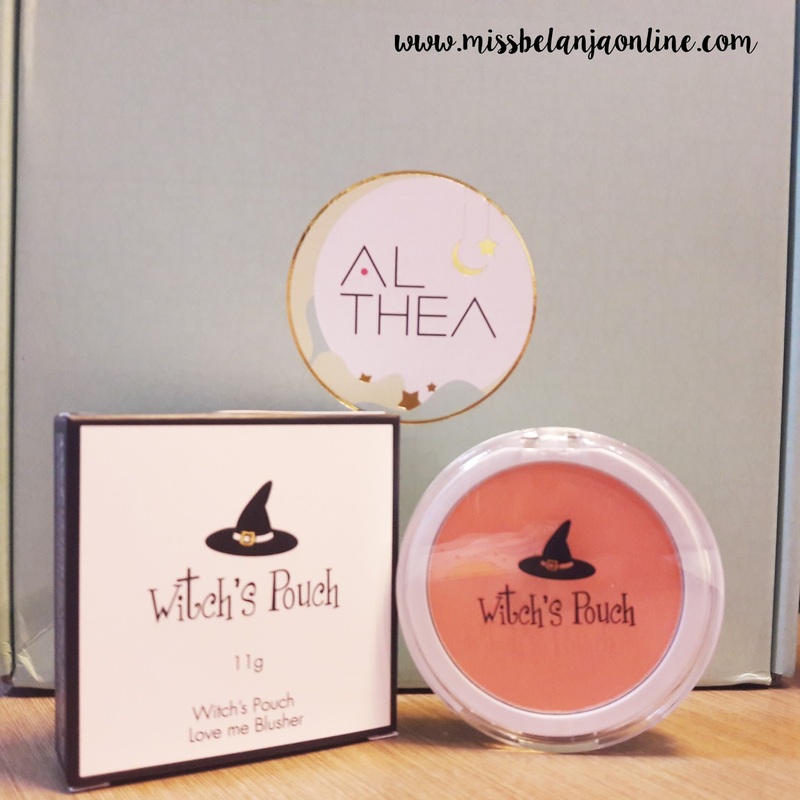 Hai Ladies...I'm back with another Althea Post! yay~~ Everytime I mentioned about Althea, It's always a happy news hehehe. This time I will share about my Raya Box! I've already posted about this event last month and now I will share about my haul during that event. They have special thematic box called Raya Box which is Green color *suits with the Raya Theme*. I received my box a little bit late due to the long holiday in Indonesia. But, I'm still excited as always whenever I open the box from Althea. 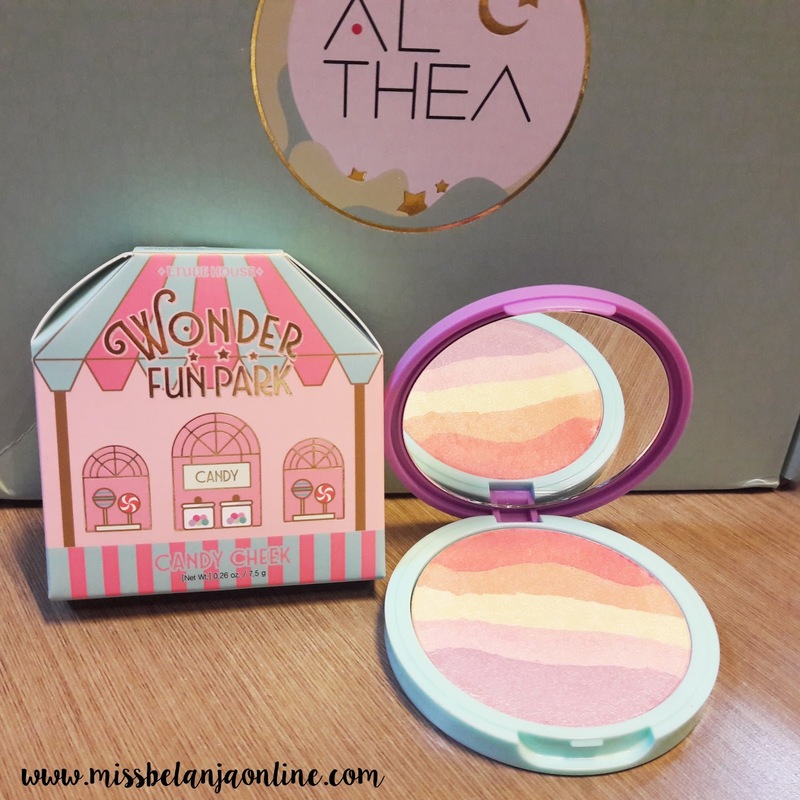 I've been eyeing this cute blusher since months ago, and finally I can get it from Althea. It is seriously super cute and pretty. Not to mention the cute outer box! I can't wait to try it but I still hesitate to touch it because the colors are too pretty hahaha.. I've tried this brand before (eyebrow pencil) and quite love it. 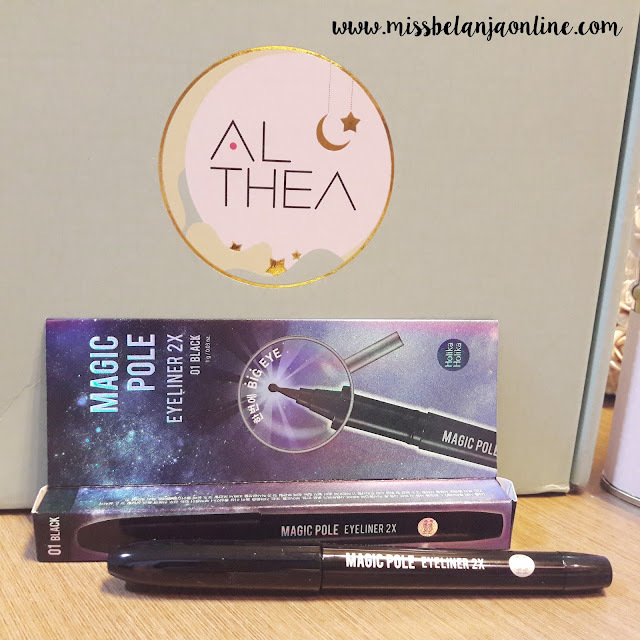 The price is also affordable, so this time I pick 2 new product from this brand again. The Gel eyebrow has an unique packaging. It has pen packaging but it's actually gel type product. On one side, it has a brush, and on another side when I open the cap, it contains eyebrow gel. I think it's really travel friendly product and quite worth to buy. I will also try to review it asap. 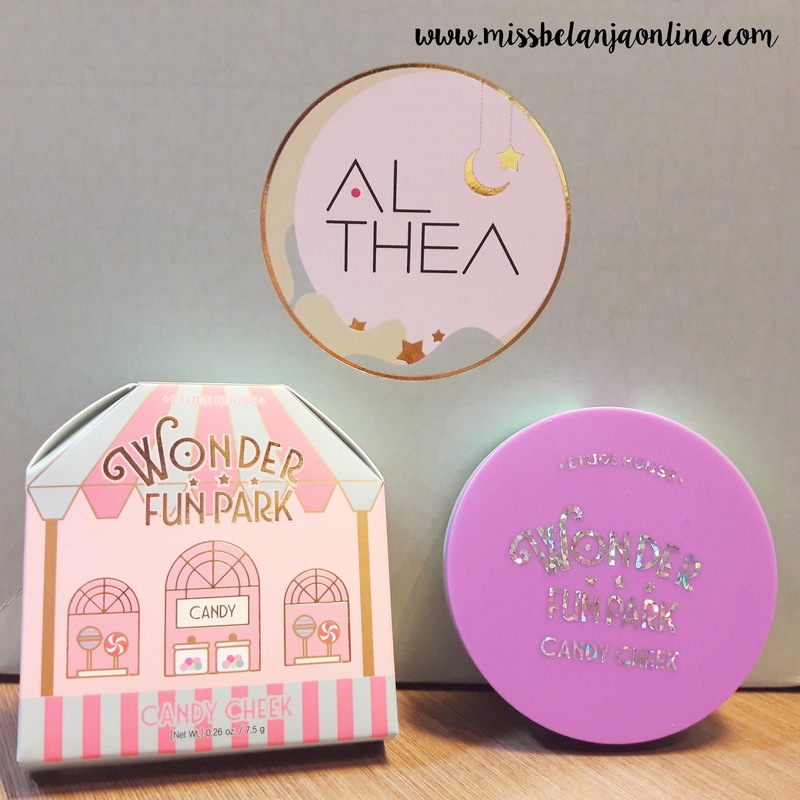 Like I've mentioned before, during Raya event, Althea is giving away free product for every purchase. And I manage to get this hugeee blusher from Witch's pouch. It is seriously super big! *I don't know when will I finish it hahahaha* and also comes with brush, hidden underneath the blush. Ahh cee unboxing mu mengingatkan ku untuk mencoba witch's pouch. lama-lama lupa karena beli yang lainnya.